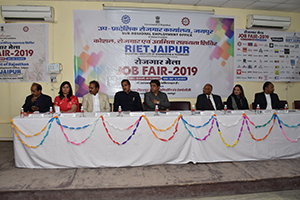 Training & Placement Department, RIET, Jaipur organized a Job Fair on 15th of February, 2019.The Job fair in the RIET campus was systematized by TPO in co-ordination with the sub regional Employment exchange Jaipur, which witnessed the participation of around three thousand candidates and Seventy reputed companies. 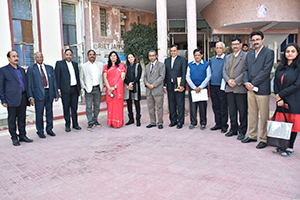 On the onset of the programme, All the guests, luminaries and company representatives were cordially welcomed by , Dr Saroj Hiranwal, Principal RIET, Dean Academics & Admin, RIET, Prof. Kapil Dev Sharma, Dr Sachin Sharma, Vice Principal, RIET, Prof D D Johari, Advisor TPO and TPO Head, Dr Monika Shekhawat. 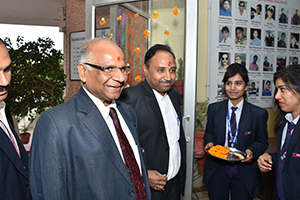 The inaugural session was also attended by all HODs, faculty members and students of RIET. Ms Suman Kumpawat, RAS, DEO, Sub Regional employment office. All the luminaries and dais dignitaries were felicitated with flowers garlands and shawls by Chairman RIET Ku Bheem Singh ji and Principal RIET, Dr Saroj Hiranwal. A token of gratitude and remembrance was also presented to them in form of RIET memento. 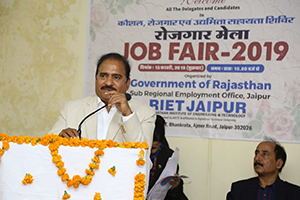 Shri Jagroop Singh Yadav, Collector, Jaipur, praised the efforts of the organization and said that Job Fair of this kind helps aspiring students to select their desired jobs in reputed companies. Chairman RIET Ku Bheem Singh ji, also encouraged the students to perform their very best and gain as much knowledge as they can, as this is the time of their career building. Shri Naveen Jain, Secretary Labour, Employment, Skill & Entrepreneurship, also spoke to the budding technocrats of RIET encouraging them with some real life experiences which he shared on the occasion. 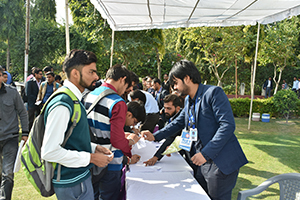 The process of recruitment varied from industry to industry; most of industry representatives followed all their process like written test, (Aptitude Test), Group Discussion, Personal Interviews etc. 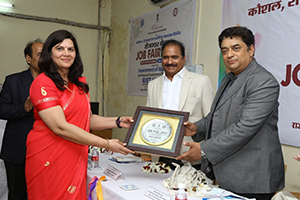 Speaking on the occasion Dr Saroj Hiranwal, Principal RIET, said that employment is the main focus for any country/society/college, particularly engineering college. Just to give the best education or training to the students is not enough. The system has to provide platform to the students to implement & explore their skill in professional field also. 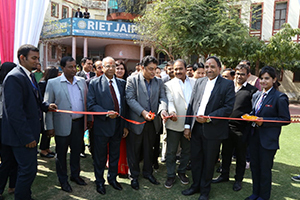 Prof. Kapil Dev Sharma, Dean Academics & Admin, RIET, said that the institute is committed to achieve, maintain and continuously improve technical excellence, ethical values and overall Development of the student’s community. 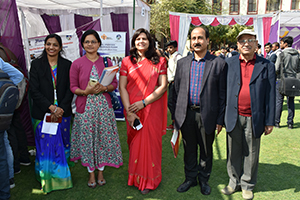 TPO Head, Dr Monika Shekhawat said that we believe that the responsibility of the institution is to give knowledge beyond syllabus education to students to qualify their academic with flying colors. We take additional responsibility to support them in making a right start of their career. We have energetic and dynamic team working in training and placement cell under the able guidance of our Principal Dr Saroj Hiranwal. The T & P Cell ensures that each and every student of the Institution gets an opportunity to be selected for placement in the suitable industries. They are trained and groomed to face the selection exams and interviews. Prof D D Johari, Advisor TPO said that we aim at building a complete personality in our students, professionally, socially and morally. The T&P Team helps us in achieving this goal by providing academic and novel ideas. We assure that the industries will be benefited from these young and dynamic minds. Dr Sachin Sharma, Vice Principal, RIET, expressed his gratitude to all the visiting luminaries and the company representatives for giving their valuable time and visiting the campus. 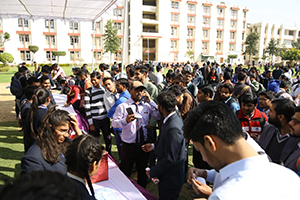 On the day of job fair, registration of the students started early in the morning, Registration desks witnessed the involvement of all the interested candidates of RIET as well as a large number of aspirants from all over the state. 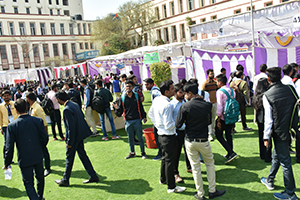 The job fair adjourned with immense sense of satisfaction in the minds of all the job aspirants who had participated in the fair and had been selected in various companies. RIET also looks forward for an occasion of this type when our technocrats can put forth their professional qualities and expertise.